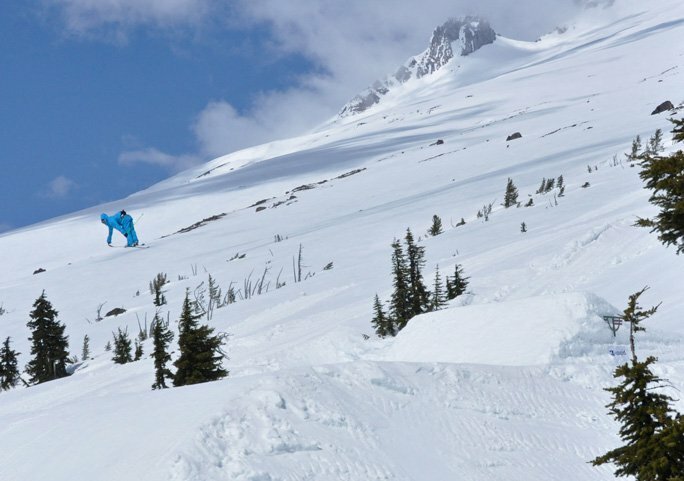 Not even snow flurries and below-freezing temperatures could stop the West Coast Session from heating up the park during day two of our shoot at Timberline Lodge on Thursday, April 23rd. As the day wore on, conditions became almost absurdly unconducive to park riding, with a thin layer of new-fallen snow barely concealing sheer sheets of ice. Some might have called the day a bust and stayed home on the couch. 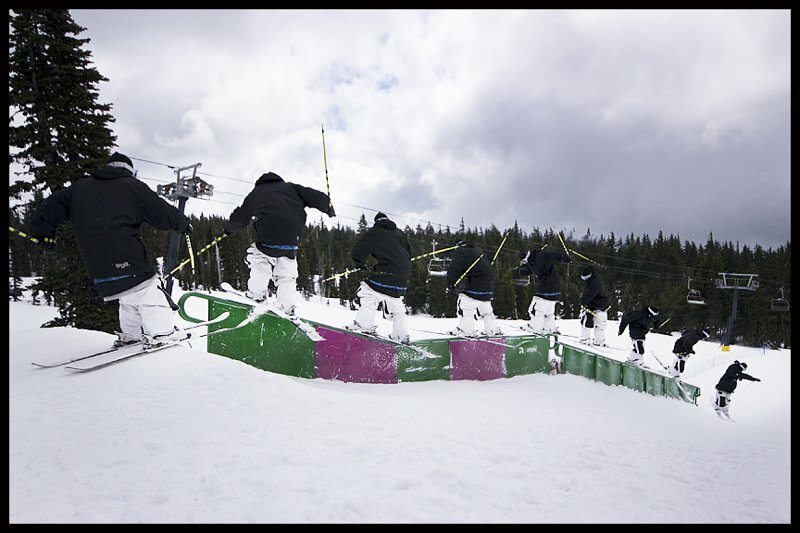 But here at WCS, every day's a ski day regardless of the weather, and the shoot crew, bolstered by some freshly arrived talent, turned their attention to Timberline's rail and box features. 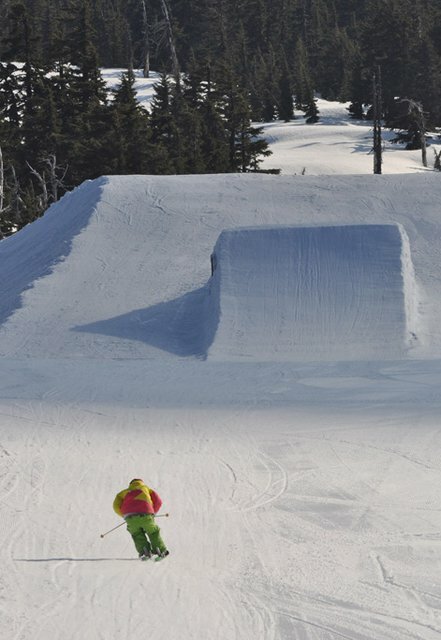 Things kicked off with a session on the s-rail, but when a few riders started testing the booter box&#151;a smooth, poppy launch pad similar to a motocross jump&#151;we knew that the day was going to be far from a bust. 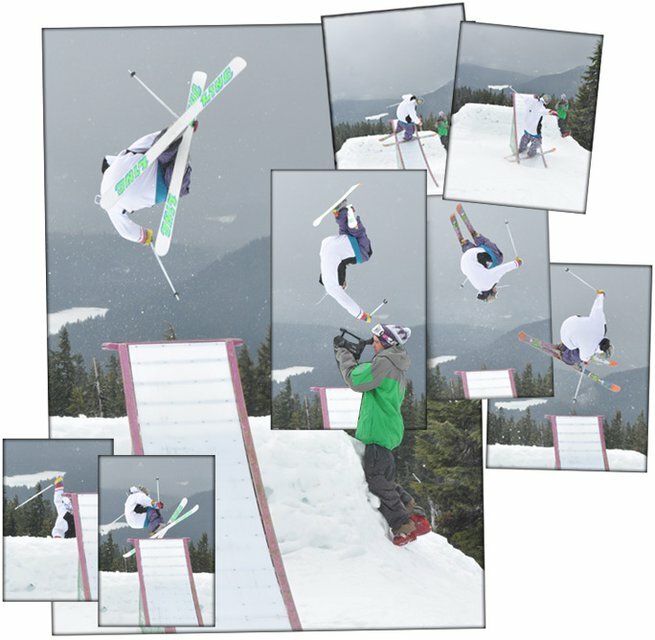 The obvious trick off the box was a backflip and many o' them were stomped, but creative juices started dripping as skiers got accustomed to the unique feature. Soon enough, the tricks on this feature couldn't be counted on both hands: corked spins, switch hits, underflips and more. 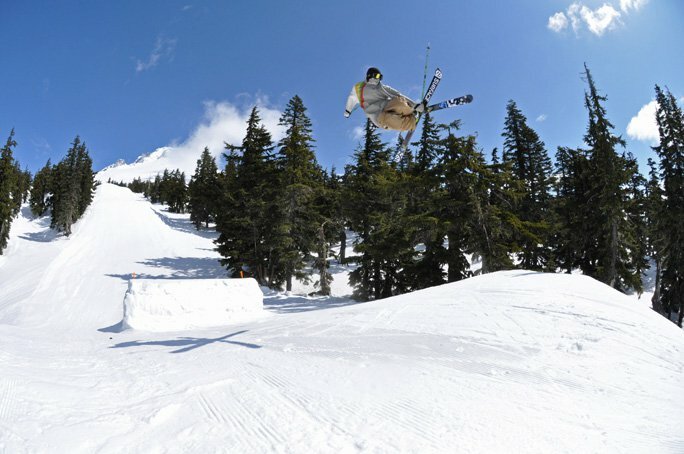 Once the desire to flip was satiated, the day ended with a long session on the double-barrel down-flat down rail, which proved to be one of Timberline's more difficult rail setups. After countless attempts, a few banger tricks got locked, and we headed back to Windell's for some serious trampoline sessions and forecast checking for the last shoot day. Luckily for us, the weather had prepared a surprise for Friday. 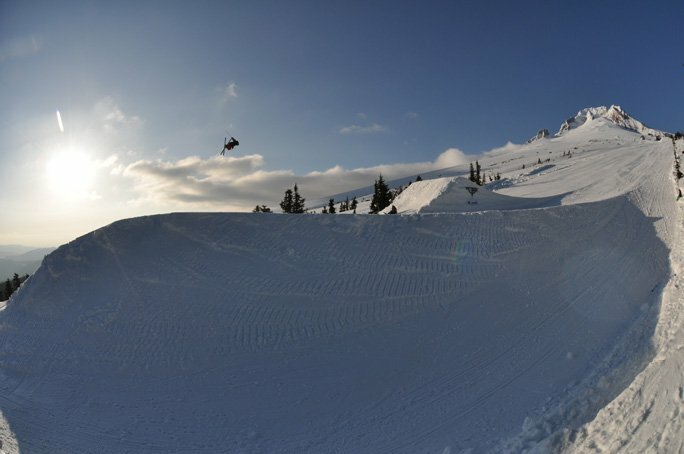 Blue skies and warmer temps greeted the crew as we pulled up to Timberline for our third and last day of shooting. 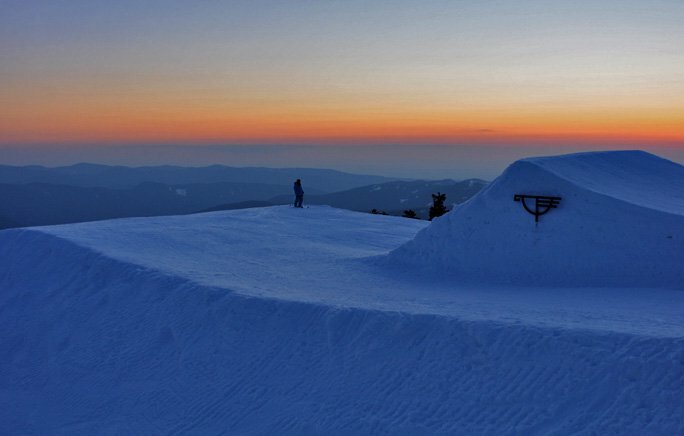 Now familiar with all the park features, the crew was ready to go off &#151; and off they went. 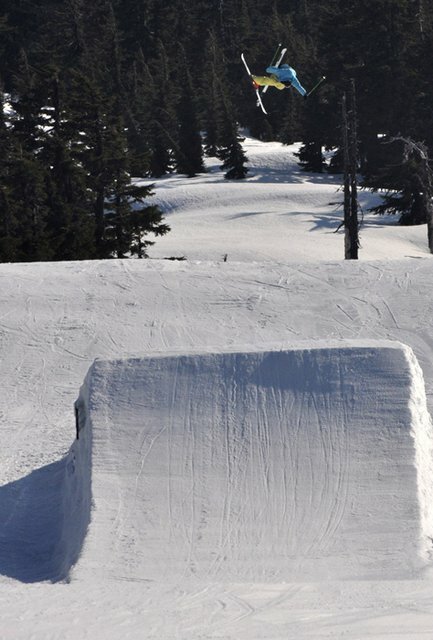 As soon as the snow had softened up a bit, the light turned green for a session on a feature we'd been hoping to hit for days: a massive 100-foot table built by Timberline terrain park mastermind Logan Stewart. 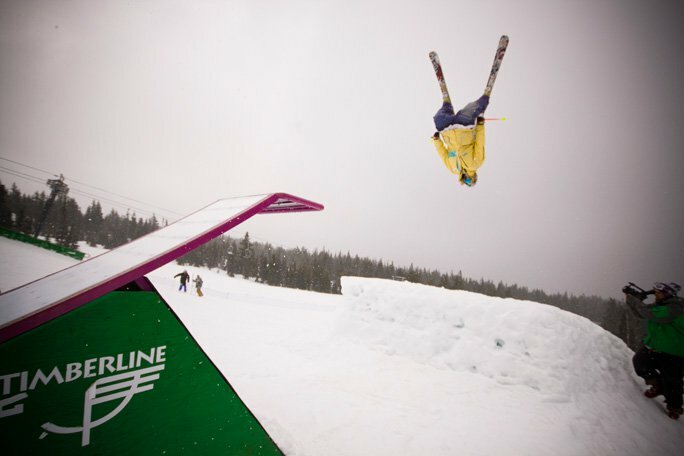 What can be said about how hard this jump was slayed? 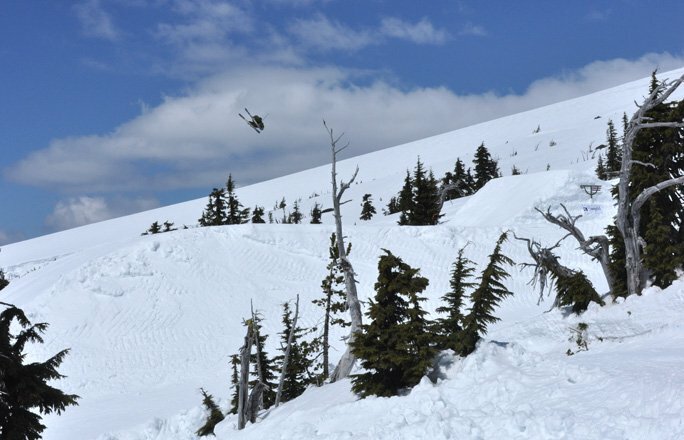 Tim McChesney quickly gave'er a guinea drop, and just watching him soar cleanly to the sweet spot of the landing was proof enough that things were about to get hyphy. 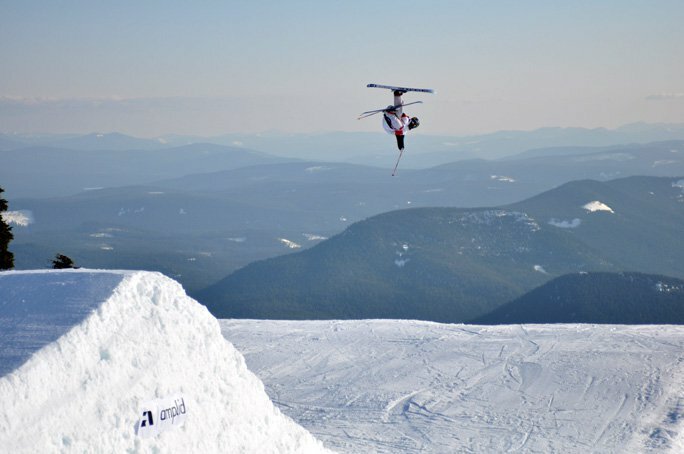 It wasn't long before the beast was tamed with all manners of spinning, grabbing, and other cool things that skiers do in the air off of jumps. The weather held out nicely, and the call was made to use the evening for a sunset shoot. 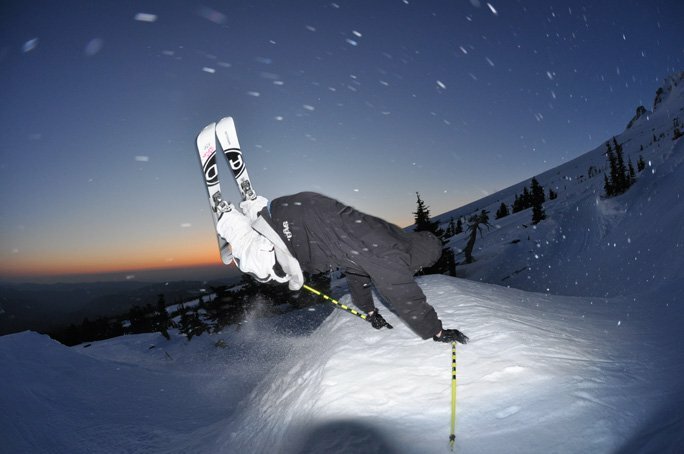 After a brief break in Government Camp for grub at the Taco Shoppe, we returned to T-Line to get down on the feature one more time in the glow of the setting sun. And just like that, the shoot portion of this year's West Coast Session was in the bag. 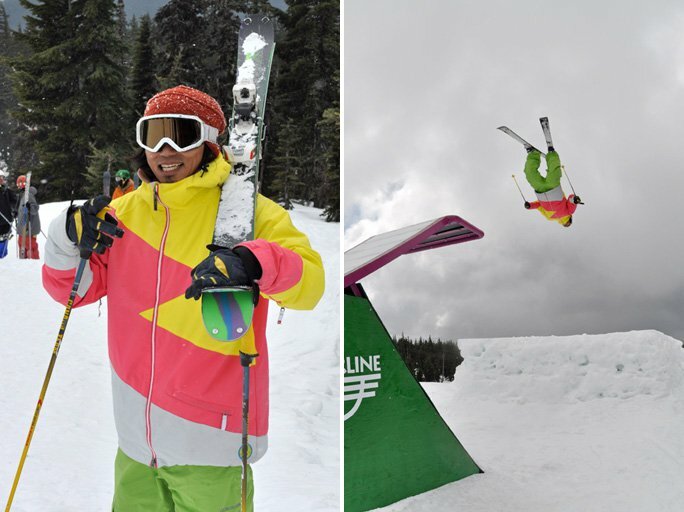 We'll have lots more coverage up soon on what went down, but for now, it's time for the West Coast Session public day at Timberline, and I'm already an hour late with all the schwag to be given out! 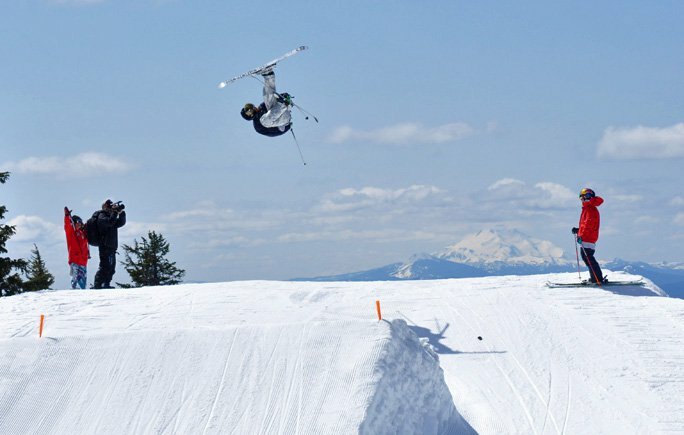 See you in the park, and keep your eyes peeled for more coverage from the West Coast Session.